It's time to put the umbrellas away. That rhymes! 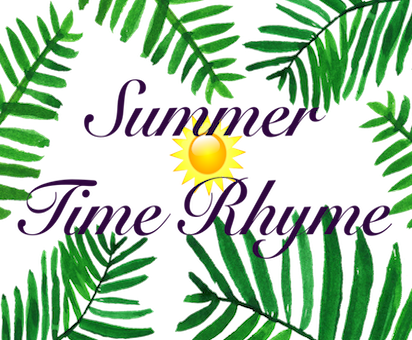 And so does our Big Kids Club Theme for the summer: Summer Time Rhyme! From history and dance classes, to ocean conservation, and things that are round - filled with rhyme - the teachers at our two centres have a season of fun in store for all the Big Kids at Buddings! Click the class icons to read more! with the rhymes of a poet! BKC 2018: Summer Time Rhyme is an educational program of structured play and learning for preschoolers, happening this season at two convenient times and locations! Broadway classes run daily from 1 - 4pm, with field trips happening at least once a week, from 1 - 5 pm. At Storybook, our drop in program runs from 9am - 12pm, with daily outings, group activities, snacks, and more! Big Kids get ready to stand up and shake your body! This class is all about promoting physical activities for our health and well being! Join the musicians of Buddings as we use the beautiful sounds of musical instruments to lull us towards some of the world's most intriguing classical artists! Big Kid's Club is happy to re-present one of last summer's most popular classes: Forest School will continue as Nature Adventure! The Explorers of Buddings will be one with nature as they visit Greater Vancouver's most beautiful forests. Join the cultural explorers as they hop hop hop around the countries of Europe and learn about the diverse and unique qualities of each one! Calling all scientists! Don't miss out on the class filled with "water-full" fun! At Buddings we love and care for the environment, especially our oceans! This summer we are excited to present Ocean Motion" which is a class focusing on ocean conservation. This class is spearheaded by the return of our favourite snacker teacher, Florence! Kombucha, and anything else with bacteria, this class will have you screaming, boo yeah! (It's all about rhymes this season). Start with a story, and then step inside, the magical world of reading and words leaps forth, and scatters the pages across children's imaginations. Art, food, stories, and games fill Ehlssie's morning program about classic tales and creative expression. Ever since humans invented the wheel, life has been rolling a lot more easily. Circles are unique, and useful! And they are EVERYWHERE! Join Talia and the morning Big Kids as they discover the circles and cycles that make up our world. Vrrrooom Vrroooomm!